Chelsea striker Gonzalo Higuain has been officially signed for Chelsea during the current transfer window. The signing of 31-year-old Higuain has come on loan for the end of the season 2018/2019, where he spent half of the loan with Milan after leaving Juventus for a season. 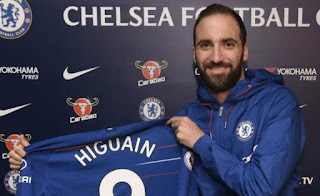 In his statement, Chelsea said Higuain had already played under the current manager of the Blues Sari at the time of his leadership at Napoli in the 2015/2016 season and won 36 league goals. 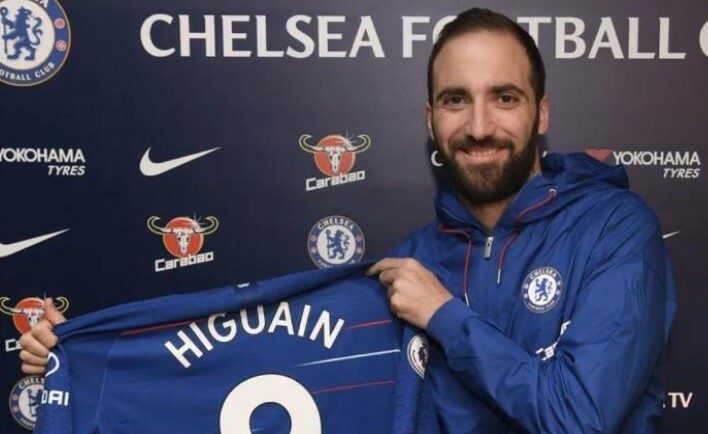 "As long as I want to play in the Premier League, Chelsea have always been a favorite of me, with a great history, a great stadium and a great crowd," said Higuain, who will be wearing jersey number 9.